Treasure's visually stunning side scrolling shooter, Gunstar Heroes is now re-mastered in 3D! Take advantage of Gunslinger Mode by choosing between FREE and FIXED shot modes on the fly and cycling through all your weapons. However, firepower can only take you so far! Go the distance and make it to the long-awaited boss battles with double life with the new Mega Life Mode. Take on the enemies alone or with a friend using two-player co-op via Local Play and prevent the world from destruction. Actually assessing 3D Gunstar Heroes is difficult. 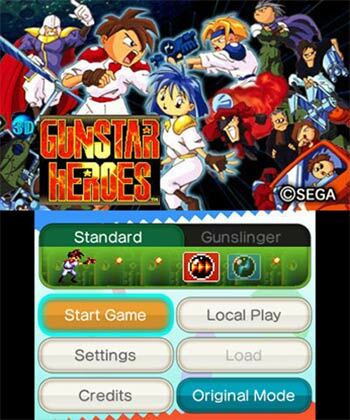 It is Gunstar Heroes, which is the perfect shooter. Anyone who has never played it and enjoys this type of game is only doing themselves harm in not doing so. 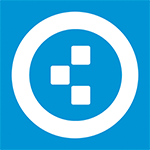 This version is content complete and as good of a version as any to rectify the issue. On the other hand, 3D, the major selling point of this release, is where it fumbles. It’s not worth the double for those already with the game, but it’s still an incredible adventure any way it’s sliced. 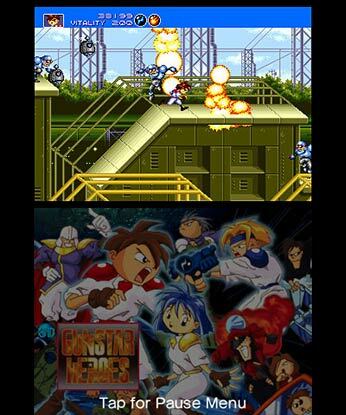 Gunstar Heroes was and still is a great game. Treasure’s classic has become even friendlier and fun with developer M2’s wonderful port. If you’re into the old school side scrolling shooters like Contra and Metal Slug, this is a game that needs to be played, and the 3DS version is the best one to do that. The new 3DS version brings to the table some well thought out optional tweaks to the gameplay and is immaculately presented, with lovely stereoscopic 3D finishing off the package; fans of the action genre should pick this up without a second thought. If you've never experienced Treasure's original masterpiece, this is the perfect opportunity to do so; for a game that's over twenty years old it still feels fresh as a daisy and plays like a dream. Gunstar Heroes is a genuine genre tour-de-force that's simply not to be missed and is yet another triumph for Sega's 3D Classics range. Every Sega/M2 3D Classic collaboration to date has demonstrated incredible love and care, even for mediocre games like Altered Beast. That same devotion applied to a top-tier masterpiece makes for an essential addition to any 3DS. This is the 3D Classics game to get. 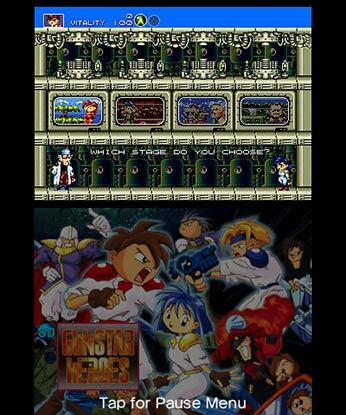 A bit of balancing wouldn't have hurt, since one particular weapon combination outshines all the others by a huge margin, but it's not enough to really hurt 3D Gunstar Heroes. In the end, SEGA has dished out a great romp through levels that do a decent job of mixing up the gameplay and presenting new challenges, all now with a 3D flavour. Gunstar Heroes is an absolute classic of the 16-bit era. I didn’t think it was possible to make the game better, but somehow M2 pulled it off. Learning the moveset, boss patterns, and weapon combinations may take a bit of time, but if you love classic action, this is a game you’ll want to revisit again and again - and this is the version you’ll want to come back to.